"We were contacted because our school colors are purple and white and you had rec'd some used purple Steelcase office chairs. We ended up purchasing 21 chairs and we are very pleased! I hope we are contacted if any other purple furniture comes in. Thank you Ray!!!" 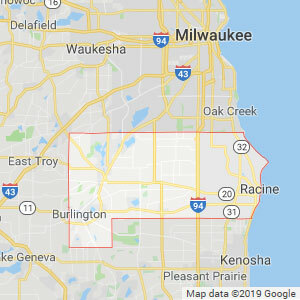 "I had a great experience with Ray Maiorano in Waukesha. He helped my small nonprofit purchase two desks and four chairs for our new office space. Everything was excellent quality and reasonably priced. Much to our surprise, Office Furniture Warehouse then went above and beyond by making a donation to our nonprofit! We couldn't be more appreciative." 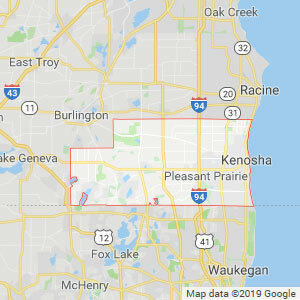 "I live in the Kenosha area and found OFW by chance when looking to remodel my home office. The entire experience was professional, friendly, and painless. They are knowledgeable, experienced, polite, considerate, and helpful. They have gone above and beyond for me and I appreciate working with such a great team of professionals. By the way, my furniture is great quality, beautiful, and exactly what I was looking for. I highly recommend OFW for your home or business office furniture needs." "Wonderful experience! Eli and Simon at the Kenosha store were wonderful to work with on my project. They were professional, courteous, organized, and on-time. They even cleaned up when installation was done. 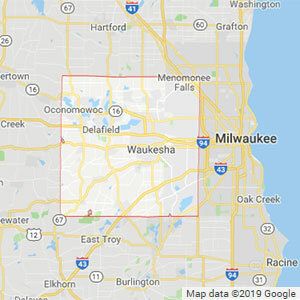 I would recommend purchasing from OFW-Kenosha." Need desks, chairs, tables & storage for a temporary office or a brand new business? Rent office furniture for any length of time or ask us about our lease to own program. Design your own office desk at Office Furniture Warehouse! We’ll put the desk together right in front of you! Try out your desk with a chair, hutch, extra drawers, or an L-shaped surface and create a desk to perfectly meet your needs. Buy new office furniture 50% to 80% off retail prices and lightly used office furniture for a fraction of the original cost! 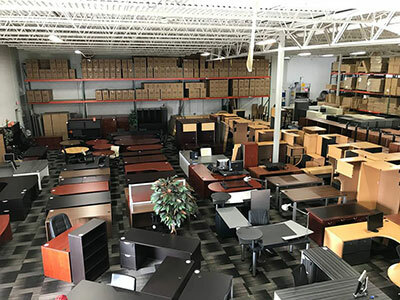 Office Furniture Warehouse has 4 commercial furniture stores offering businesses and individuals in Milwaukee, Chicago, Twin Cities, Madison, Racine, Green Bay, Eau Claire, Waukegan and surrounding areas a huge selection of desks, chairs, tables, storage & reception furniture at very competitive prices. 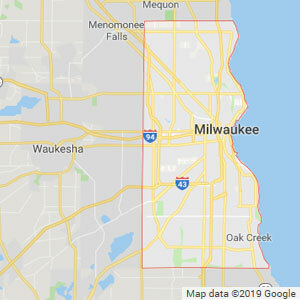 We buy, sell, rent, deliver and install inexpensive office furniture for businesses and home offices in Wisconsin, Minnesota, Illinois, Iowa and the greater Midwest. Let us know what you’re looking for! If we don’t already have it in our showrooms or warehouses, we can find it for you within a week. 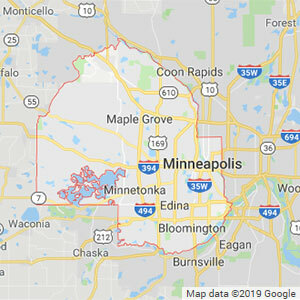 Contact or visit our office furniture warehouse showrooms in Waukesha, Kenosha, Muskego & the Twin Cities to find incredible value waiting for YOU. We have over 34,000 square feet of office furniture inventory in stock & truckloads more arriving! Buy high-quality office furniture with clearance pricing online and get FREE shipping anywhere in the continental USA! All our new chairs and desks come with a 5-10 year limited warranty. With free shipping to 48 states, it's now even easier to get the lowest price on office furniture for your business or home office. 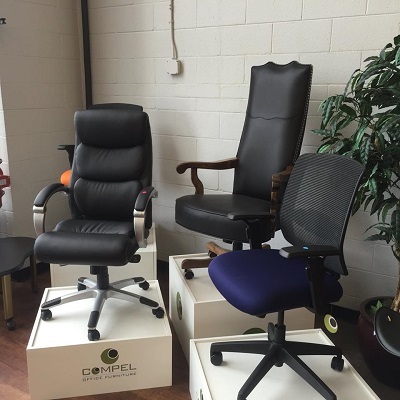 We still offer the same great in-store bargains on office chairs, desks, tables, storage and cubicles, so if you don't see what you're looking for in our online store just contact us or visit one of our warehouse showrooms. Office furniture 50-80% off original retail prices! Our inventory of high quality discount new and like-new used office furniture moves FAST. 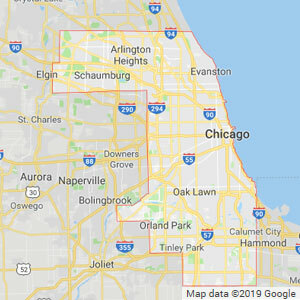 We receive semi-truckloads full of new closeout office furniture and pass the savings on to offices in Milwaukee, Chicago and the surrounding areas. Don’t miss out on these limited-time bargains. Check out our latest closeout and overstock specials before they’re gone! Shop OFW Brand chairs, desks, conference tables and storage in 2 attractive finishes, all at incredibly low prices and backed by a 10-year warranty. Make a great first impression with professional reception area furniture without overpaying. We have reception desks, waiting room chairs, lounge seating, end tables and more. 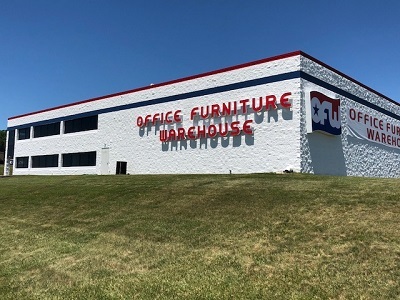 Office Furniture Warehouse is your full-service office furniture resource for locations throughout Wisconsin, Minnesota and Northern Illinois. We make furnishing, moving or upgrading your workspace EASY. We'll help you plan and outfit a new office space, decommission your office, lease affordable furniture for a temporary workspace or conference or deliver and assemble an ergonomic chair for your home office. From office desks and task chairs to storage cabinets and conference tables, our new and pre-owned furniture is in excellent condition and comes from quality brands. We sell, rent, deliver & assemble new and like-new chairs. Furnish your new office space. Update your old office furniture. Expand your workplace as your company grows. Set up a corner workstation for your home office. For all your office furniture needs, Office Furniture Warehouse has the biggest selection and best pricing on used office furniture and discount new office furniture. Customize an L-shaped desk to complete an executive office suite, buy a T-shaped desk for a shared workspace or let us help you create a custom floating desk for a small space. Build your own desk and we'll put it together right in front of you! Our outstanding selection of office chairs includes ergonomic chairs, desk and task chairs, breakroom chairs, stackable chairs and so much more. Our modular furniture allows you to build your own custom desk. We’ll put the desk together for you right in our showroom so you can try it out and easily make changes. Add or subtract file cabinets and drawers, add a credenza, change the size and shape, and switch the return side to the right or left. Design the perfect desk to match your needs and office space. Improve office efficiency and organize your work environment with cubicles. Our new and used office dividers break up and quiet down your busy office while reducing distractions for employees. Easily improve your wide open office by reorganizing the space in a more functional and attractive arrangement. Read office furniture supplier reviews from our customers throughout the Midwest! Contact Office Furniture Warehouse today for the best deal on used and new office furniture. We buy high quantities of overstock or closeout furniture at a low price so you can save money on attractive, high quality new office furniture. Purchase brand new desks, chairs, and other furniture at 50% to 80% off retail. Our new furniture includes laminates, veneers, and more in over 100 different configurations, styles, and finishes. Plus all our new office furniture comes backed by a Five- to Ten-Year Warranty! If you don’t see what you’re looking for in our gallery or warehouse, let us know, and we can get it for you within 7 days. Our used office furniture is in such great shape you won't believe it's not new! furniture is in such excellent condition, it’s hard to believe it’s not new! 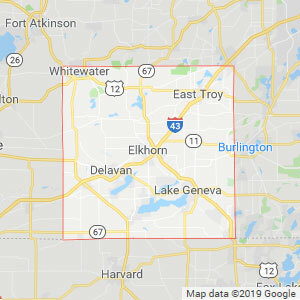 We buy high quality used chairs, desks, cubicles, tables, and filing cabinets from decommissioned offices throughout the Midwest and pass the savings on to you. Check out our lightly used and like-new office furniture for savings of up to 80%! Our used office furniture offers the best price on used executive desks with hutches, drawers, file cabinets, credenzas, and other convenient features. These L-shaped desks provide plenty of workspace and storage space for your executive office or home office. See assembled used office desks at our Waukesha or Kenosha location. 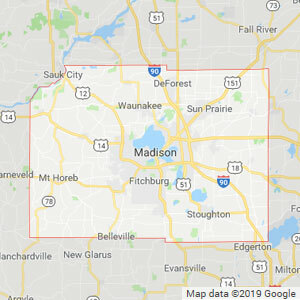 As a full-service furniture supplier, we provide affordable delivery services for homes and offices in Wisconsin, as well as Illinois, Iowa, and throughout the Midwest. When you order our new or used furniture for your home office or company, we deliver, unload, and set up the furniture on-site. We assemble your new desks, chairs, and other furniture and install it in your office space. After the installation, we vacuum the office and clean the furniture. Our team leader does a walk through with you to ensure the installation exceeds your expectations. Whether you are furnishing your home, home office, or an entire office building, we’ll handle all the heavy lifting. Learn more about our office furniture delivery and installation services. 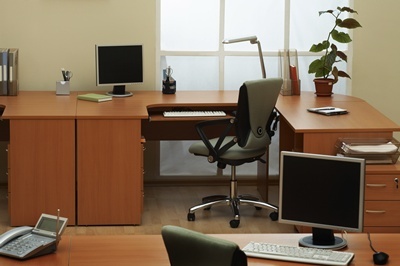 We'll help you find the best office furniture for multiple floors or a single small workspace. Our used office desks make an elegant addition to your home office. These beautiful desks feature a hutch, drawers, and an L-shaped surface for all the storage and workspace you need. Stop by to see assembled used office desks in person, or check out our used office, computer, and reception desks online. 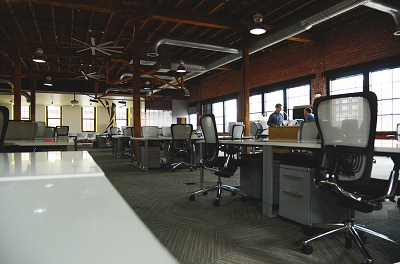 Our office furniture leasing program is perfect for startups, businesses with temporary headquarters, and companies needing extra furniture for a special project. Rent office furniture, such as desks, chairs, cubicles, and more, to fill your temporary need. Our leasing programs are based on the number of furniture pieces required, the estimated time frame of the rental, and the location of your office. If your company wants to get rid of old furniture without the hassle, Office Furniture Warehouse will take care of the whole thing. Whatever the state of your unwanted office furniture, Office Furniture Warehouse can help. We may buy the furniture from you (if it is high quality and in good condition). In some cases we take the furniture in barter for the cost of decommissioning. If the furniture has no value, we can remove it and dispose of it for you (saving you the cost of renting a garbage bin and hiring a removal service). You don’t have to worry about transportation, manpower, or finding the furniture a new home. Our hardworking staff will handle all the heavy lifting for you! Learn more about office furniture decommissioning the easy way, with OFW! Contact our office furniture sales representatives to make your office space efficient and functional. Office Furniture Warehouse supplies affordable high quality furniture to businesses, home offices and nonprofits across Wisconsin, Minnesota and Illinois including Milwaukee, Green Bay, Racine, Burlington, New Berlin, Madison, Watertown, Waukegan, Chicago, Rockford, Crystal Lake, Northbrook, Minneapolis, St. Paul and the surrounding areas. 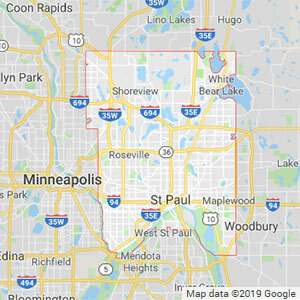 Contact us online today for exclusive deals in the Milwaukee, Minneapolis & Chicago metro areas.